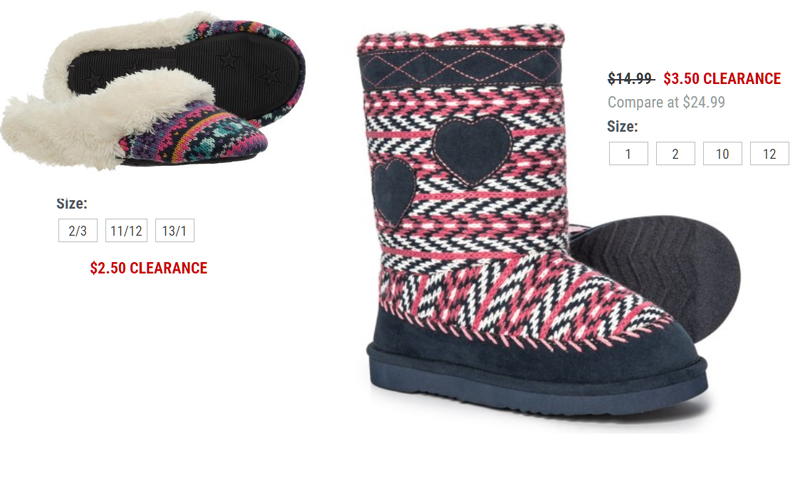 Girls' Dearfoams Sweater Knit Clog Slippers $2.50, Girls' Western Chief Melody Slipper Boots $3.50 + Free Shipping. Limited sizes, only the sizes in the pic are available. Awesome deal though!